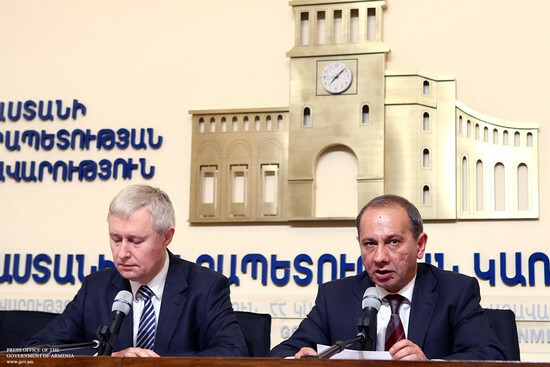 Minister of Economy Vahram Avanesyan and IBM Vice President Kyrill Kornilev signed today a Memorandum of Understanding (MoU) to look into the possibilities of long-term cooperation. Note that an agreement on bilateral cooperation was reached during Tigran Sargsyan’s visit to the U.S. late last year. 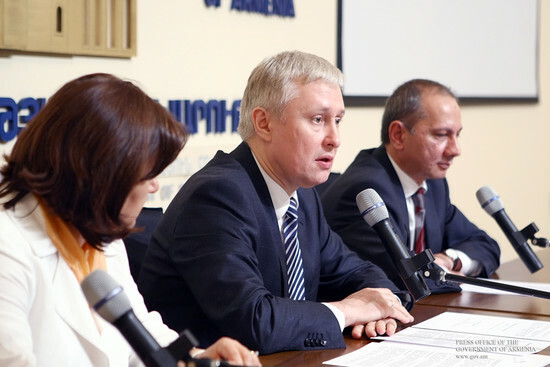 During the press conference, which was held at the Government’s press center, Mr. Avanesyan stressed the importance of the MoU to Armenia’s IT sector. Welcoming IBM’s entry into the Republic of Armenia and reminding that the IT sector is an economic priority in our country, the Minister singled out the following 3 key areas of interaction: education, research and business. According to Mr. Kornilev, the cooperation will boost the development of information technologies: “The IT sector is the driving force behind the economy both in Armenia and all over the world,” the IBM Vice President said. 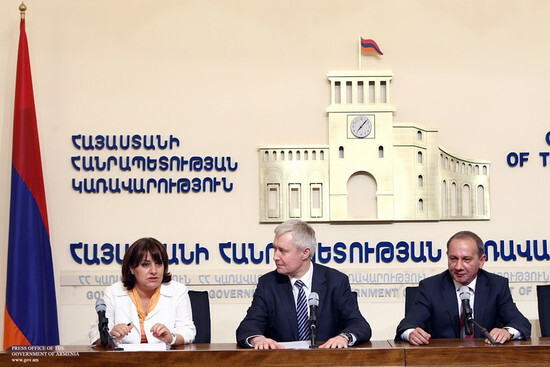 The parties intend to develop an agreement on establishment of an IBM center for innovative solutions and technologies in Armenia.